A shameful story out of Tampa continues to grab national and even international headlines and we need you to stand with us in confronting bigotry. T.W. 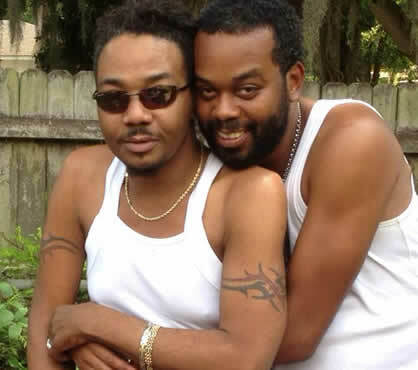 Jenkins, pastor of Tampa’s New Hope Missionary Baptist Church is under fire after he canceled funeral services for Julion Evans-Capers, because parishioners read in his obituary that he was married to a man. The pastor called less than 24-hours before the funeral was to begin as the family attended the wake, literally standing next to Julion's coffin. Julion’s husband, Kendall Capers got in touch with the funeral home’s managers and requested space for a funeral the next day. But the ugliness of this church's actions have compounded the grief for Kendall who is still reeling from the shock. "I haven't had a chance to grieve since I got the phone call." Kendall said. Last week I reached out to Kendall on behalf of Equality Florida to offer condolences and help. We spoke today. I also called New Hope's pastor T.W. Jenkins and left a message asking him to speak with me. I hope he can see this as a moment to educate himself and to commit to make amends for having subjected a grieving family to added suffering. It is time for other faith leaders to speak out and challenge homophobia. Kendall plans to start a foundation in Evans' name to fund research for amyloidosis, the incurable, hereditary disease that took Julion’s life. We will provide more information on this foundation as it develops. Julion says he will keep speaking out for justice. "I didn't move to Florida to be an activist, " say Kendall, "but I guess I am now."